You should really see this: https://act.represent.us/sign/think-democrats-and-republicans-cant-agree-anything-think-again?source=taf . RepresentUs has a smart plan to fix our broken political system. Check it out. For too long, politicians from both parties have used redistricting as a way to keep themselves in power and maintain the corrupt status quo. They do this through partisan “gerrymandering”—the manipulation of electoral maps to ensure that one party remains in power. But American voters across the country are tired of this business-as-usual, legalized corruption. They’re ready to enact real change in their state governments. In Colorado, two measures on the November ballot, Amendments Y and Z, will prevent gerrymandering. These Amendments are vital pieces of anti-gerrymandering legislation that will protect Colorado citizens from corrupt political meddling for generations to come. With the 2020 census on the horizon, it is more important than ever to Colorado—and the nation—that state legislative and congressional districts are drawn fairly and impartially. Here’s what gerrymandering is, and how Colorado is poised to become a leader in the anti-corruption movement by passing Amendments Y and Z. After the 2020 census, every state in the nation will redraw their electoral maps for both congressional districts and for their respective state legislatures. In theory, this process is designed to reflect changes in populations and demographics since the last round of redistricting, in order to ensure that each voter’s voice is equally represented. In practice, though, political insiders and career politicians use redistricting as an opportunity to manipulate district boundaries in their favor—packing and parsing voters to ensure that incumbents keep their power and that voters can't hold them accountable. This process of unfairly drawing districts according to party affiliation is called partisan gerrymandering. Gerrymandering allows politicians to choose their voters, instead of the other way around. The more gerrymandered a district is, the less politicians need to listen to the will of the voters, and the more corrupt the government becomes. Gerrymandering directly takes power away from voters—no matter what party or politician is doing it. And both parties do it. Gerrymandering isn’t new—it actually dates back to 1812. But as technology advances, politicians can draw districts for their own advantage more precisely than ever—leaving more and more voters effectively silenced. That’s why Colorado, and states across the country, need explicit anti-gerrymandering reforms now more than ever. WHAT ARE AMENDMENTS Y AND Z? There are two anti-gerrymandering amendments on Colorado’s November ballot. Amendments Y and Z would both create independent, 12-person commissions to lead the mapmaking process—one for congressional districts (Y), and one for state legislative districts (Z). These commissions would be explicitly multi-partisan, consisting of four Republicans, four Democrats, and four people unaffiliated with either party. Amendments Y and Z would also put in place clear, consistent map-drawing criteria. They would increase transparency and accountability by implementing robust ethical and public records guidelines. Currently, when district lines in Colorado are in contention among political insiders, the final decision as to whether the lines were properly drawn inevitably falls to the Colorado Supreme Court. Amendments Y and Z would prevent that from happening. In short, these amendments would keep Colorado’s voters safe from having their voices silenced by gerrymandering. They will make sure that political power stays where it belongs—in the hands of the people of Colorado. In March of 2018, two groups from opposite ends of the political spectrum made a radical move—they reached across the aisle to work together. They decided to put aside their differences in pursuit of a common goal: preventing gerrymandering in Colorado. 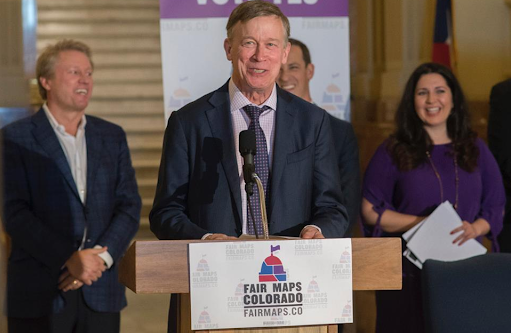 Thus, a new, cross-partisan organization was born: Fair Maps Colorado. The legislation drafted by this new group sailed through the Colorado legislature, passing both the House and the Senate unanimously by early May. With their amendments certified for the November 2018 ballot, Fair Maps Colorado forged ahead. 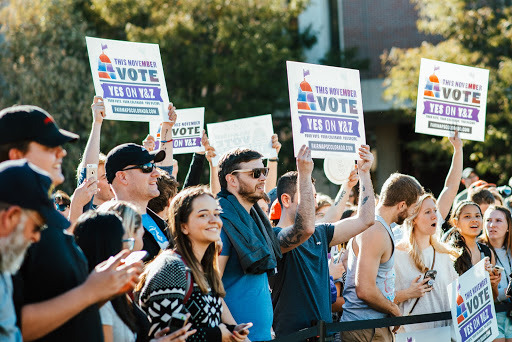 They brought conservatives, progressives, and independents together to rally Coloradans in support of the two Amendments that will protect citizens for generations to come. That’s why the story of Fair Maps Colorado is so encouraging. When Republicans, Democrats, and Independents work together, positive change becomes imminent. With the passage of Amendments Y and Z, Colorado would become a leader in the nation, not just in terms of gerrymandering reform, but as an exemplar of bipartisan cooperation. Amendments Y and Z would make Colorado a model for fair and effective redistricting. It is so important for the state and the country that everyone is getting involved—including Oscar-winning actor Jennifer Lawrence and former California Governor Arnold Schwarzenegger. Jennifer is helping to push for anti-gerrymandering legislation across the country, and released this video supporting Amendments Y and Z to spread the word to Colorado voters. 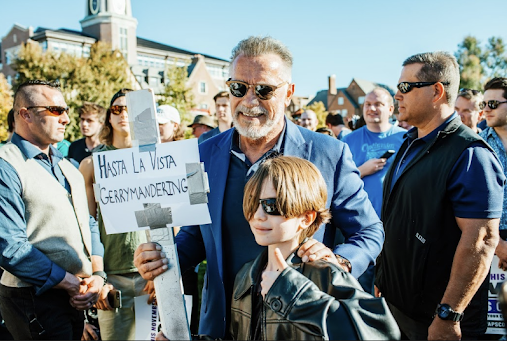 Arnold Schwarzenegger recently campaigned in support of Y and Z at the University of Denver as part of his ongoing effort to stop gerrymandering in a number of states. These celebrities are not alone. People from all across the political spectrum and around the country are coming together this year—and their grassroots power is having a real effect. Ohio has already passed two groundbreaking anti-gerrymandering reforms. Voters in Michigan, Utah, and Missouri will also have the chance to vote on comprehensive anti-gerrymandering initiatives this November. Voters around the country are taking action. 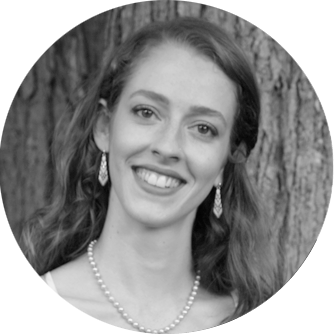 They’re organizing, petitioning, and volunteering to enact powerful change in their state governments. Now more than ever, America needs comprehensive anti-gerrymandering and anti-corruption reforms. Thanks to grassroots organizers and voters, the country is on the brink of sweeping changes that will put power back in the hands of the people. You can be part of the action. Volunteer with a RepresentUs chapter in Colorado or check out the Fair Maps Colorado campaign and help Colorado make history. Not in Colorado? No problem! Check out this page to see all of the awesome, anti-corruption campaigns RepresentUs members are supporting in the November 2018 election, and find out how you can get involved.